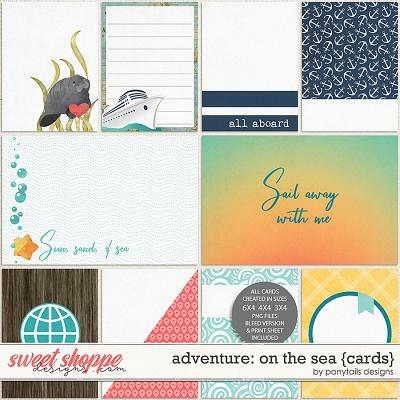 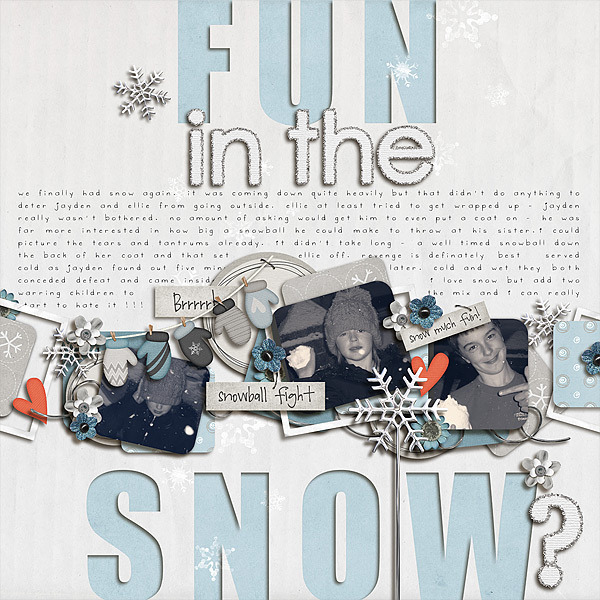 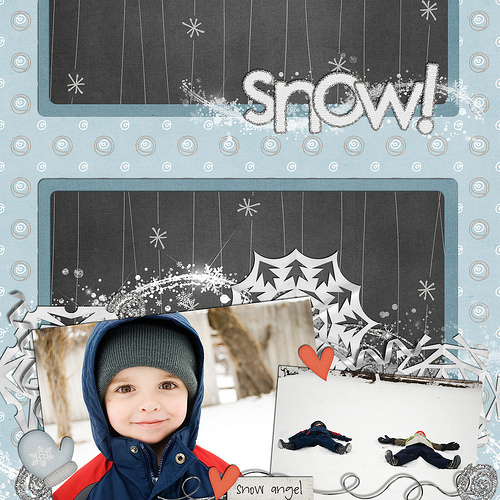 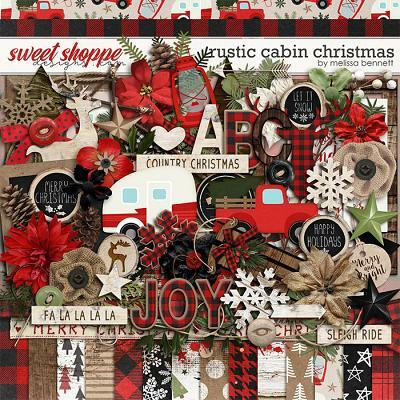 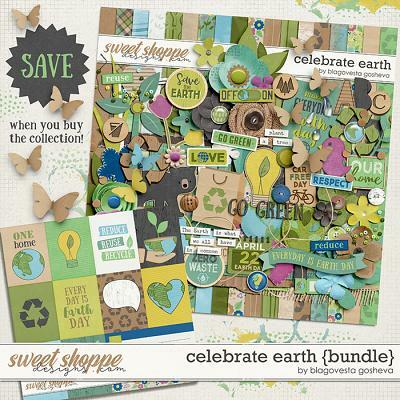 A digital scrapbooking kit by Erica Zane, Say It Ain't Snow will make your cold winter days warmer (by keeping you inside scrapping & out of the cold outdoors!). 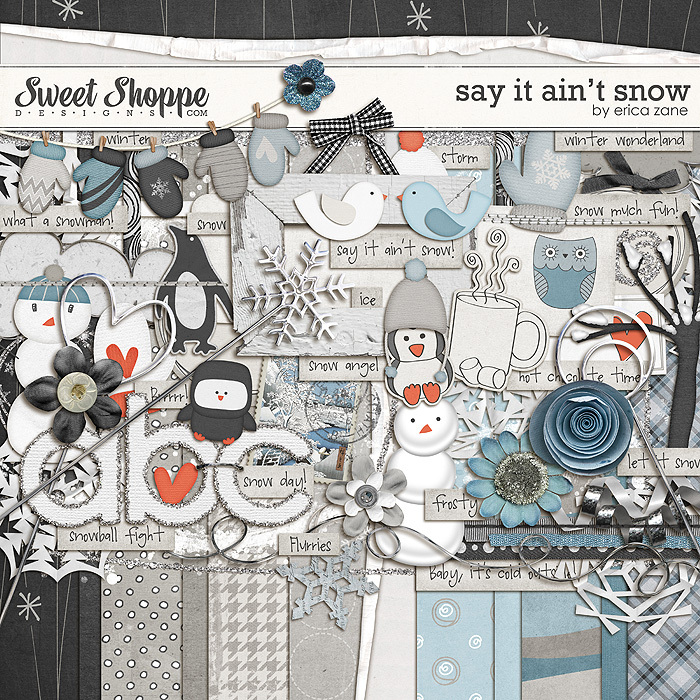 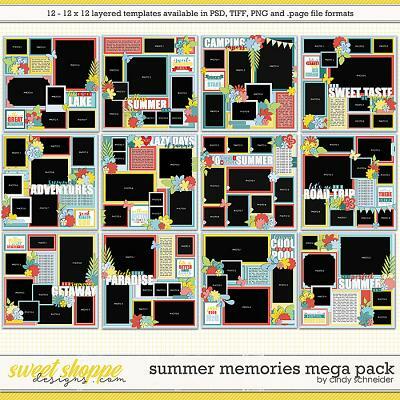 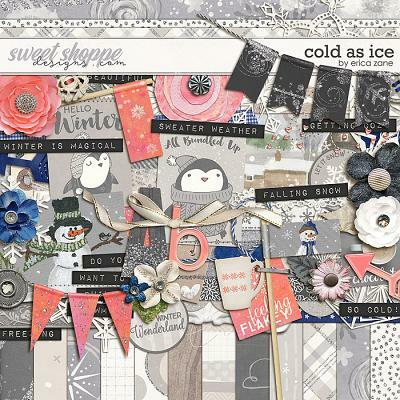 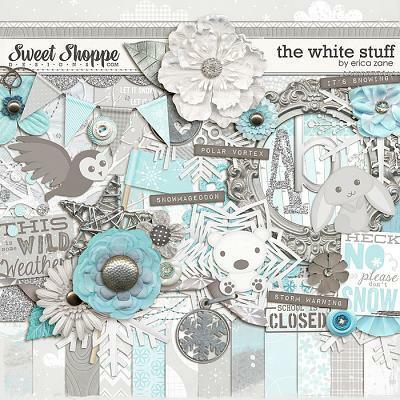 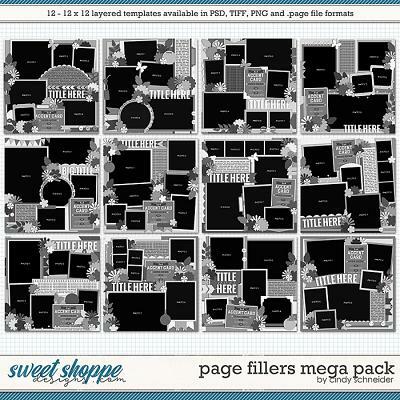 Packed with 12 digital scrapbook papers (plus a 12x12 glitter edge overlay), more than 60 digital scrapbook elements and a digital scrapbook alphabet (saved as individual .png files), this kit is full of snowy goodies. 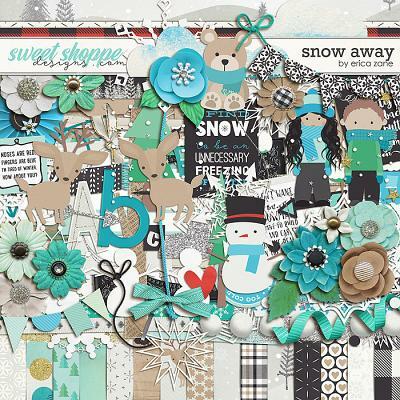 The elements include: 17 word art bits (plus 1 blank), 6 snowflakes, 5 flowers, 5 ribbons, 3 penguins, 3 frames, 3 photo holders, 3 sets of stitches, 2 journal spots, 2 snowmen, 2 stamps, 2 borders, 2 birds, 2 tags, 2 clouds, 2 glitter doodles, 2 snowflake scatters, 2 mittens, hat, heart, tree, curly wire, hot chocolate, string of mittens, falling snow overlay and a staple.